How is this biologically or physically possible? At the opening of this decade, growers of giant pumpkins saw a one-ton pumpkin the way runners once saw the four-minute mile. But the ton barrier was crossed in 2012, and record pumpkins have gotten larger every year. Surely there must be some maximum pumpkin size set by the laws of physics and the biology of squashes. Can they just keep getting bigger forever? Watch out, say some scientists. Pumpkins could, in theory, get a lot bigger. Zachary Lippman, a plant biologist at Cold Spring Harbor Laboratory, has grown a few giant pumpkins in his day. He’s also an expert on the emerging technology known as gene editing — a new, precise way to make custom changes in DNA. Gene editing, using a tool called CRISPR, has been in the news lately for its potential to correct genetic diseases in people, but Lippman believes that, just as with earlier forms of genetic engineering, the more immediate applications will be in agriculture. Right now he’s working on applying CRISPR to tomatoes — tweaking genes to make them bigger, but also to make plants that are simply more prolific tomato producers. The older, more traditional form of gene editing usually involved transferring genes from one organism to another. Scientists were still reined in by what nature provided. CRISPR changed that, he said, by allowing people to alter the code letters in DNA directly and at will — like editing a Word document. “It’s an unprecedented change in the way we approach biology and what’s possible in agriculture,” he said. And while the technique is more versatile than earlier forms of genetic modification, it’s also much close to traditional breeding, where people simply used nature, or sometimes X-rays, to induce variation and then breed those with desirable traits. Armed with CRISPR, someone like Lippman could be dangerous in the field of giant pumpkin growing. 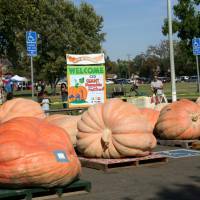 He said while gene-editing technology could potentially make bigger pumpkins, he sees giant pumpkins as an illustration of the incredible power of modern conventional breeding. A grower named Howard Dill in Nova Scotia is credited with inventing truly giant pumpkins, said Lippman. Dill grew a 199 kg pumpkin in 1979, and then used selective breeding to bump up the size still more. Now all giant pumpkins originate from his seeds — called Dill’s Atlantic Giant. Over the years, the genes for enormity have been further refined — and that means not just genes that control growth, Lippman said, but others that allow the plants’ leaves to take in more energy, and the stems, more water. But to get a really big pumpkin, he said, you need to push the envelope of nurture as much as nature. Giant pumpkins need special mixes of nutrients, and hundreds of gallons of water. But not too much water too fast. There are tragic stories of drenching rainstorms that caused prize giant pumpkins to explode. So perhaps it’s not biology but physics that will put the upper limit on pumpkin size. Giant pumpkins are, after all, contending with a crushing force of gravity. Georgia Tech engineering professor David Hu investigated the issue a few years ago, wondering just how much a pumpkin can take. The laws of physics determine the optimal size for plants and animals, said Hu: a phenomenon called scaling. In a famous essay published in 1928, biologist J.B.S. Haldane explained that if you scaled up a man to 60 feet (18.2 meters) tall and proportionally increased his thickness and width, he would not be able to walk without breaking a leg, because each square inch of his leg bones would have to bear 10 times as much weight as that of a correctly sized man. That’s why bigger animals and plants have to be quite sturdy — or live underwater. What does this all mean for giant pumpkins? To find out, Hu did what many physicists do: He developed a model. He studied the shapes of 50 giant pumpkins and he also used a special vice to squeeze a bunch of ordinary pumpkins, thus simulating the pressures of being giant. He found that indeed, plus-size pumpkins can’t look nice and round like their petite counterparts. As Hu describes it in one of his scientific papers, gravity creates “abnormally large tensile and compressive stresses on the pumpkin bottom and top, respectively.” What this means is they inevitably flatten and develop a lumpen shape, as if the mere act of existing has worn them out. It’s not just the size but the rate of growth that produces stress, he said. Pumpkins can put on 22.6 kg a day in their peak growth periods, which puts them at risk of cracking. They grow through both the expansion of cells within the pumpkin and the creation of new cells through division, he said. Pumpkins are less prone to crack if they have the right combination of growth and division — you want the cells to divide faster at the weak points. Beyond that, he said, the friction between the bottom of the pumpkin and the ground is so powerful that it inhibits the pumpkin from spreading out, often leading to a concave shape at the bottom. Growers, he said, sometimes put slippery vinyl under their pumpkins to reduce the coefficient of friction. In the absence of gravity, he said, a pumpkin could grow forever, which would make a great space station experiment. How could anyone doubt the space leadership of a country that produced a record-breaking pumpkin in zero-g? 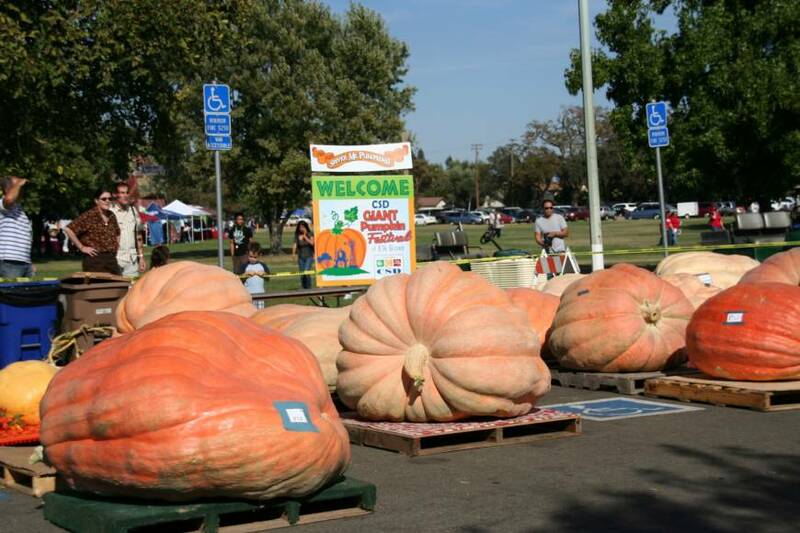 But Hu says that’s not yet necessary for pumpkins to get far bigger than the 1,180-plus-kg record holders of today. There’s nothing in the laws of physics that say you can’t, in theory, get to 9,000 kg — well big enough to ferry a whole town to the ball. Science writer Faye Flam is a Bloomberg View columnist.